You’re familiar with LinkedIn. You may even have posted a profile. But if you’re like a lot of people, at best you copied your resume into the little spaces on the form. You may not even know there are some hidden spaces that you haven’t filled in. You may or may not have uploaded a picture, and said picture may or may not be appropriate. Need help? That’s what I’m here for. Here are my top 10 tips to rock your LinkedIn profile. Complete Your Profile to All-Star Status. 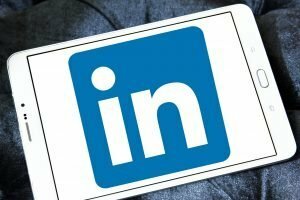 This is a real LinkedIn thing—and as Dave Barry would say, “I’m not making this up.” Recent surveys show that about 95% of recruiters and hiring managers look for candidates on LinkedIn. Will they find you? And when they do, are you showing yourself in the best light? There are few space constraints (unlike your resume) and it is one of the best ways to get your message and personal brand across! Take advantage of all the sections—let yourself shine—and have fun with it. Studies show that a profile that is complete will make it 13 times more likely to be viewed. And as a bonus, “All-Star” status will make you appear higher in search results. While your LinkedIn profile should be more personal than a resume (think: first person; talk about your passions, values, etc.) Just remember it is still a professional networking site—so keep it that way. Avoid institutional buzzwords and corporate-speak … Let them know YOU! The old adage of “a picture’s worth a thousand words” is true in this case. If you want to make a connection, you need to have a face! Profiles with pictures are up to 40 times more likely to be viewed. Make sure you look like a person you’d like to work with—friendly, smiling, and wearing professional attire. Your picture should be in color and current as folks will be looking for this face when you meet in person. Experts also advise a neutral background and that your head fill 75-80% of the circle. This is another visual opportunity to show your brand. Add a photo that relates to your industry, your vision or other statement about you. OK—you’ve got 5 new tips to execute. That’s a great start—so go make those changes, now. We’ll be back with 5 more tips next time.